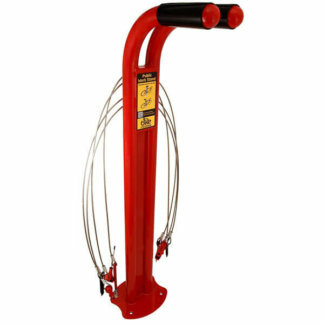 Custom Racks™ are bike U racks with designs to enhance your community image. 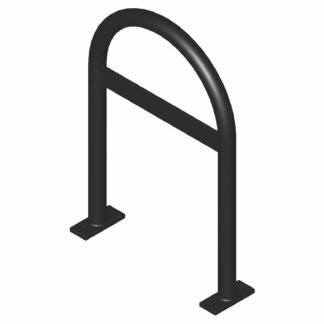 These bike racks are based on the proven design principles of our Bike U Rack with Crossbar. 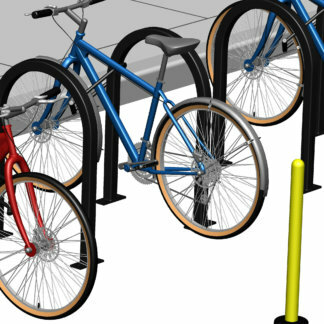 Our custom bike racks offer unique wayfinding or signage systems that also serve the facility managers and cyclists with form and function to enhance community image and promote cycling with the ultimate in short-term bike parking. 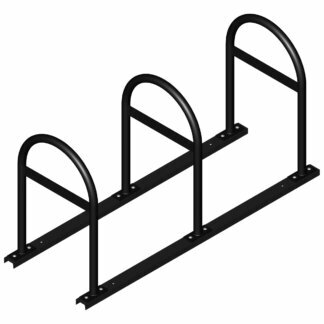 Provide us with a logo to duplicate, an image to silkscreen, or create an adhesive label to customize your bike rack. Custom colors are also available. Consult with your representative for possibilities. Manufactured of heavy-gauge Sch. 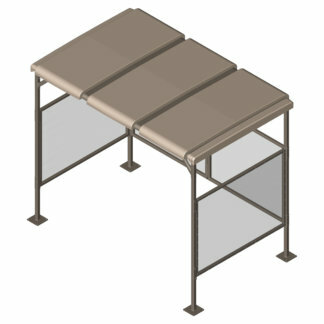 40 steel pipe with zinc primer TGIC powder coat, these racks are built to withstand urban environments. Choose from the TGIC standard or custom polyester powder coat finishes.